I’ve been following the Boston New Technology Startup Showcases for quite a while now via the BNT Meetup group, but the meetings are almost always in Boston. This time, however, the showcase was held out in the suburbs where I could more easily get to it, so I jumped at the chance. As those of you who have read the Blog may know, I regularly attended technology and technology startup events when I lived in Houston. I’m not as conveniently located to make it to Boston area events as regularly, but I enjoy keeping up with the tech and startup communities when I can. 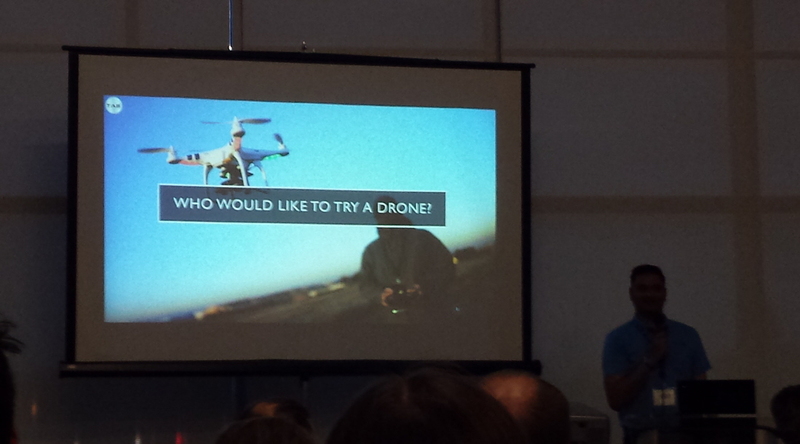 MatterVest: First up was MatterVest, a site that’s geared toward the equity crowdfunding trend. MatterVest provides tools for investors to analyze the various investment opportunities all on one site in a standardized format, rather than forcing investors to navigate the twenty-plus equity crowdfunding sites, which may have different formats and varying types of information at the potential investors’ disposal. MatterVest is currently a live beta site. DiscoverText: DiscoverText does text, survey, and Twitter data analytics. The company demonstrated its Twitter analytics during the presentation. A quick poke around its website is likely necessary for a fuller understanding of the software and how it works, as it’s a bit detailed for a five-minute presentation. SlapFive: SlapFive is software that aggregates customer views in a different way. The company noted during its presentation that, rather than asking for testimonials or recommendations from its clients’ customers, SlapFive asks for knowledge, experience, feedback, or advice. This information is then captured in a way that can be shared. The company uses a SaaS business model with monthly subscriptions and tiered pricing. TabCoinClub: This business allows customers to try out new electronics before buying. For a monthly fee, subscribers can create a queue, get items in the queue, and keep the items for as long as they like. When one item is returned, a different item is sent. Subscribers also get “coins” for maintaining their subscriptions. (In response to a question, it was mentioned that referrals are another way to earn “coins.”) These coins can then, in turn, be “spent” to be able to keep products the subscribers like. 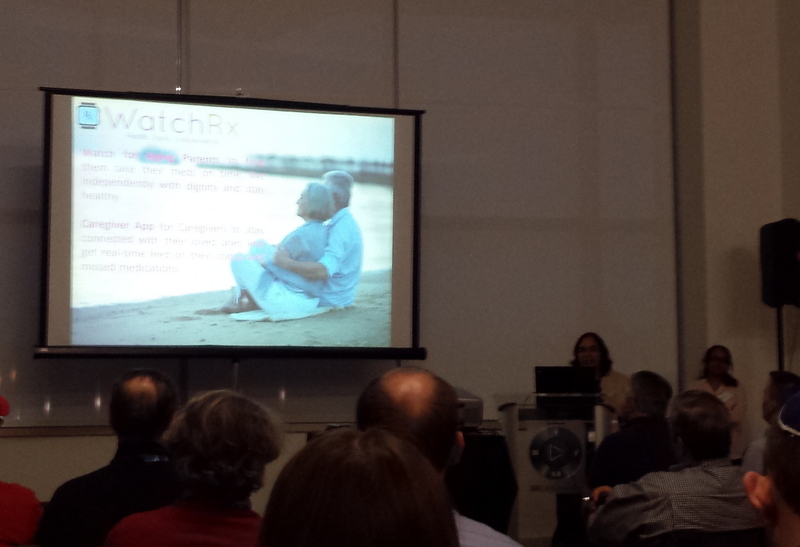 WatchRx: This is a smartwatch with phone and GPS that helps seniors remember to take medication. It comes with a caregiver app for the family member (or other caregiver) to monitor the senior’s progress. Other features also help the caregivers monitor the seniors’ well-being. During its presentation, WatchRx even showed part of this YouTube video demo, which does a great job of showcasing the watch’s features. 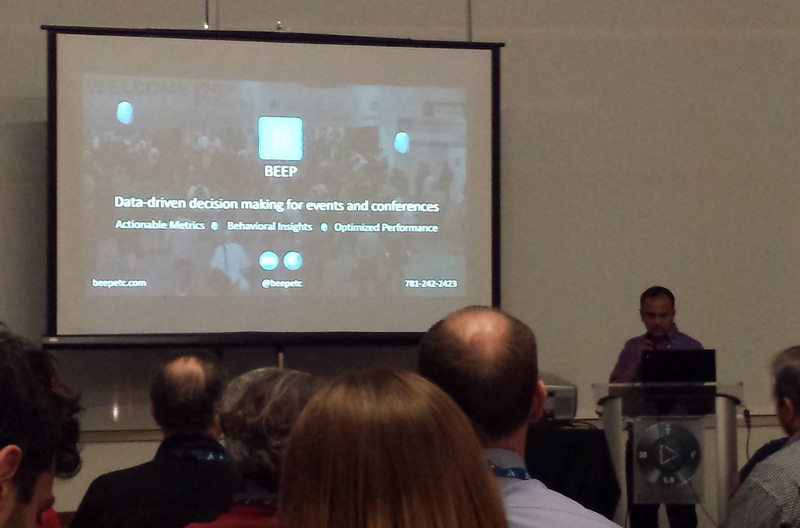 BEEP: BEEP is an app from Beantown Beacons geared toward tradeshows and conferences. It allows tracking of interactions and other visitor information of interest to exhibitors and conference organizers, such as entry/exit and dwell time. 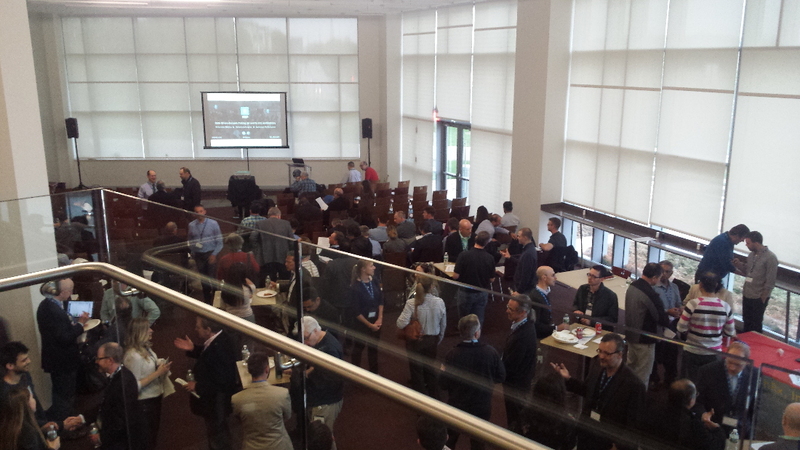 For the attendee, it can cater content to enhance the conference experience. Yes, I know my description is vague. The BEEP team did a great job explaining it at BNT; hopefully any details I haven’t fully explained can be discovered via a visit to BEEP’s website. 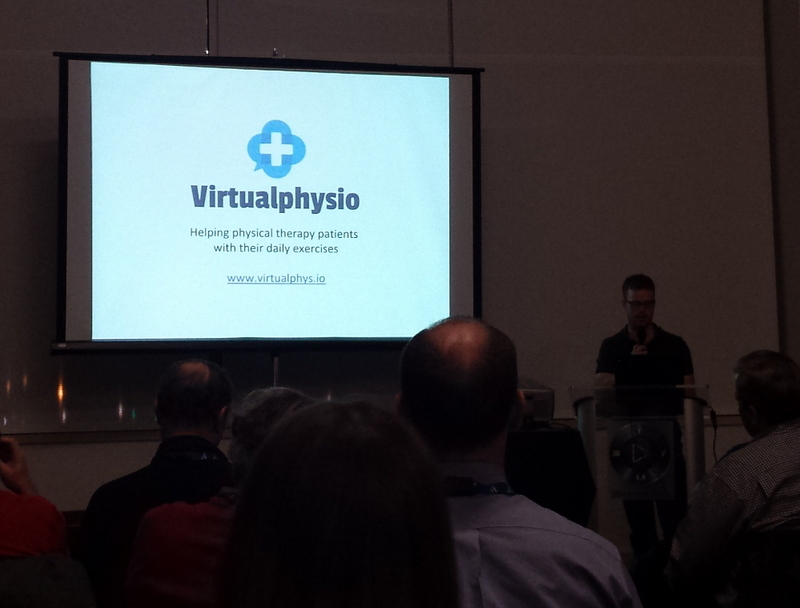 Virtualphysio: This app provides reminders for patients to complete the at-home portions of their physical therapy. In addition to improving patient compliance via its timed text messages, Virtualphysio provides a link with exercise instructions to help ensure the therapy is done properly. Virtualphysio says its business model includes SaaS for practioners, clinical trials, and partnering with health insurance providers. 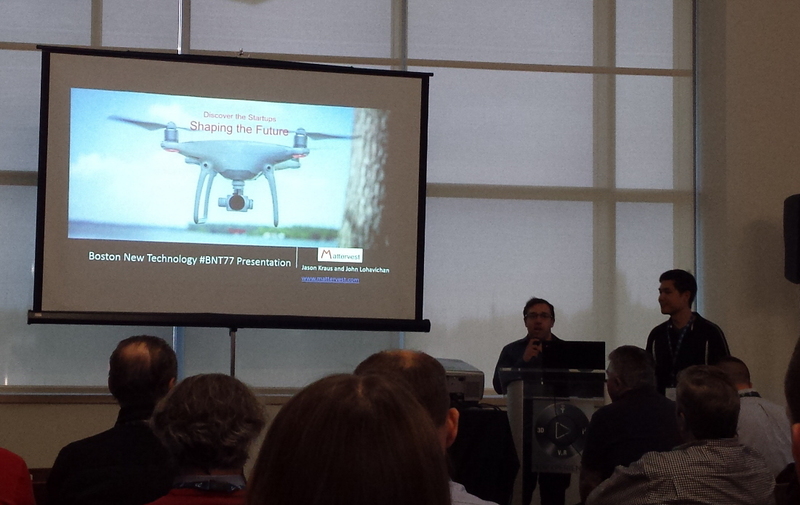 It was an interesting batch of product presentations. I’ve done my best to capture the essence of the products and the presentations in this article, but please do visit the product websites and contact the companies to ensure you get a complete, correct view of the the BNT #77 products. The two products that were probably best-suited to this presentation format were WatchRx and Virtualphysio, whose utility and underserved consumer markets are the most obvious. Whether serving underserved niche or new markets or trying to succeed in a competitive market with a superior product, though, all of the products at this showcase appear to have a possible path to success, which is nice to be able to say. 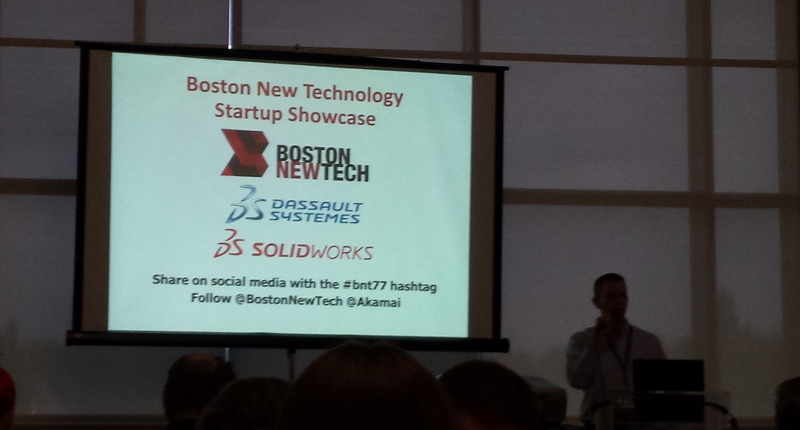 After finally getting to a BNT startup showcase, I see that I really do like the quick-presentation format. Certainly, whenever the showcase is back in the ‘burbs (or if there’s a rare occasion I can get into the city after work), I look forward to attending a future event.